Above: Philippe and Xavier near Col du Pré. Lac and Barrage de Roselend below. 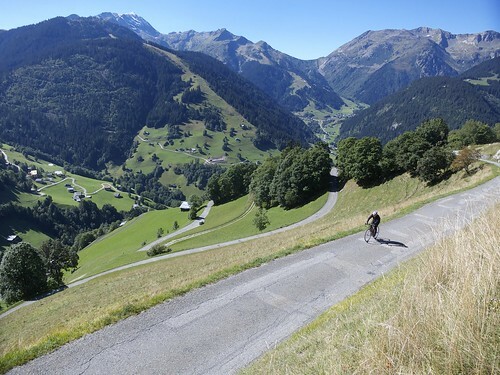 September in the Alps can be beautiful ….. and much quieter now that the tourist season is over. The other weekend, I met Philippe and Xavier for a couple of stunning loops in the Beaufortain region of the French Alps. 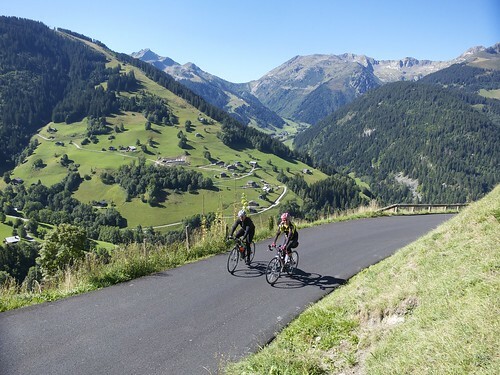 We started in Beaufort, but avoided the direct “Route des Grandes Alpes” road to Roselend, instead taking the steeper, more scenic way via Col du Pré. At Arèches we took a brief detour to visit the beautiful Lac (and dam) de Guérin. 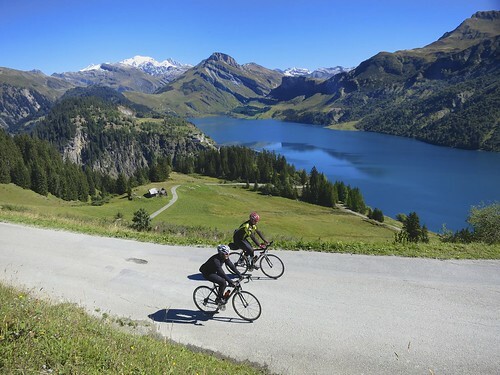 It’s possible to continue past Lac de Guérin up to Cormet d’Arèches and even over to the Vanoise alps valley. But the route is NOT paved. Details here. Next we descended and rejoined the steep last few kilometres to Col du Pré. Hard work. 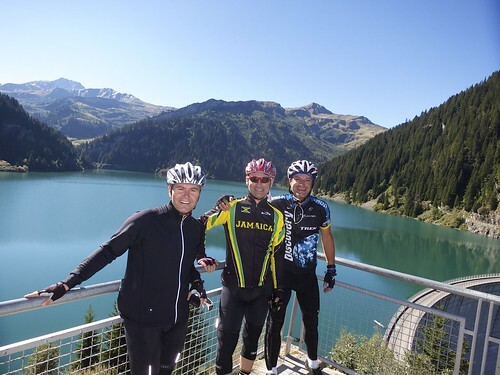 Just after the Col are some of the very best views in the alps, as we looked down on Lac de Roselend. See photo at top too. It is hard to convey in photos what a stunning location this is. We descended down to the Lake and crossed the huge dam, rejoining the Route des Grandes Alpes. After lunch beside the lake we climbed up to Cormet de Roselend. 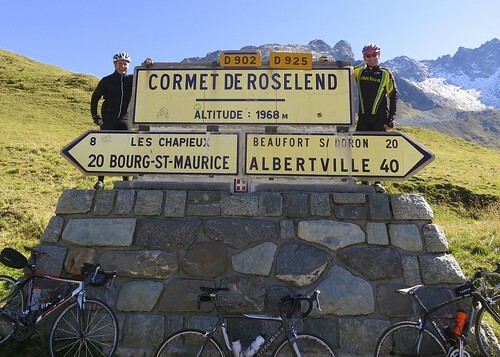 (For details of the beautiful south side climb to Cormet de Roselend see here). Finally, we descended the direct way back to Beaufort — a thrilling descent. This is an absolutely fabulous route. Highly recommended. That is some serious climbing! The views are fantastic! Much better than the loop I did last weekend around the landfill!